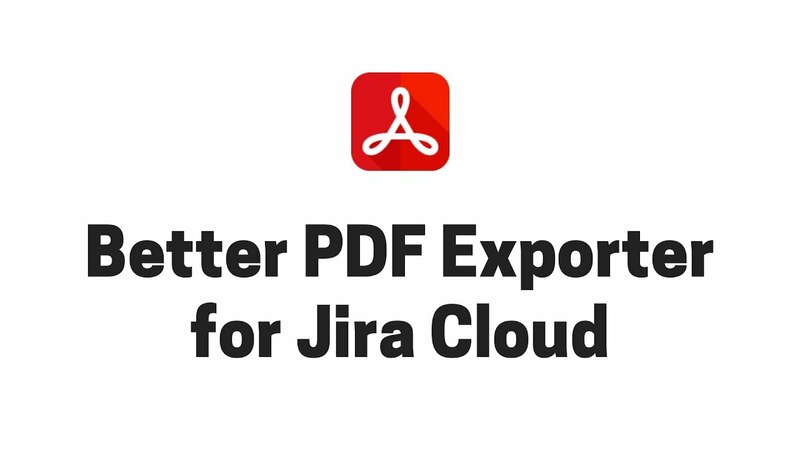 We are extremely proud to announce that Better PDF Exporter, one of the most popular and highest rated Jira apps, is making its debut on Jira Cloud very soon! We conducted thorough internal user acceptance tests to find any and all problems that might occur during ordinary operation. We have been using Better PDF Exporter Cloud internally long enough to say that it’s amazing! The PDF export option is built-in to many screens (from the old and new issue views through Issue Navigator to all types of boards), so it’s always at hand. The templating and scripting mechanisms are making it extremely customizable. It’s a cloud-native app: robust, resilient and scales to huge data sets. It comes with brand new business report templates (that are not even available in the Server/Data Center versions yet). How to join the Closed Beta program? During the Closed Beta, you will use the same high-quality, fully working software version that we have been using internally. The app will be provided to you completely free of charge for the testing period, so there is no need for a credit card or an official subscription. We are inviting our first feature request voters, who indicated their need very early. Besides this group, we also wanted to appreciate our Midori newsletter and blog readers and open this opportunity up for them as well. So, if you are reading this (thank you! ), you are invited to the program! Check your inbox and verify your email address. Log-in to the Midori workspace and you are done! Once you joined the Midori Slack, you will receive every additional information as well as installation instructions there. Help us shape the most advanced PDF exporter for Jira Cloud and be our superhero! Join the beta program now by signing up to our Slack workspace. The Midori Slack workspace will stay open after the beta program for general discussion with fellow end-users and the Midori team. You are welcome to join even without joining the beta program, to establish an informal and casual channel of communication with us and Midori app users like you. Join the Midori Slack workspace now!